 Medical Relief International as a charity does not receive any government or lottery funding and relies on the kind generosity of donors and local and national businesses. Medical Relief International continues to strive to help generate and raise funds with a variety of activities and local fund-raising events, but we can’t do this alone we need your help and support. There are several ways that you can get involved to support and help raise money for Medial Relief International. Could you host your own fundraising event for Crisis Aid? Hold a car boot sale, coffee morning or a raffle. Organise a collection at a religious service. Choose us as your charity of the year. Annual collection, cake sale, charity car wash, charity auction. Obstacle course event, abseiling, skydiving, zip wire challenge. If your part of the following then why not get involved too!! local societies, or the scouts, brownies and guide groups, or even local youth clubs! We would love to hear from you!! There is a huge interest recently in physical challenges that you may want to take part in on behalf of Medical Relief International as your chosen charity organisation. Whether you take part in the London marathon or the great north run we would love to hear from you and where possible support your efforts through our social media. Whether it is a night out or a night in, a coffee morning or a charity football match, a bake sale or a head shave; with a bit of time and a supportive group of friends, you could be raising valuable funds for our work and having lots of fun. For all you teachers out there getting your pupils involved in fundraising is a great way to teach them about those who are less fortunate than us around the world. Why not choose Medical Relief International as your school’s chosen charity for the year? You could organise an event such as a fancy dress day, fun run, cake stall, treasure hunt or bring and buy sale. Place your event on our social media pages such as Instagram or Facebook. Please email us at contact@medical-relief.org or call on 0300 80 80 800 for an informal chat.